Without notice, you can find yourself nursing a serious injury thanks to a fall, car crash, a workplace accident or a contact sport. The long road to recovery requires a team of dedicated healthcare professionals. No matter how they’re caused, traumatic injuries are no fun for patients and can be challenging for doctors to treat. It can happen without warning … you find yourself with a critical injury resulting from a fall, a car crash, a workplace accident, or perhaps a contact sport. A trip to an immediate care clinic or ER may fix you up. But if your injuries are severe enough to land you in a hospital, the long road home again requires a team of dedicated professionals. Peggy Johnson, DO, physician and medical director for the Monroe Clinic Urgent Care in Freeport, often sees patients with strains, sprains and simple, closed fractures. Sometimes patients don’t realize just how serious their injuries really are. With fractures, a referral to an orthopedics doctor may be necessary to ensure proper healing. In severe cases, patients are referred to a nearby emergency room. Compartment syndrome occurs mostly in the lower legs, but can also happen in arms. Patients may be referred to an orthopedic specialist or to their primary physician. Obviously, patients injured in catastrophic vehicle or construction accidents would have been stabilized at the scene and sent directly to an emergency room. But occasionally a serious or critical patient will come to the Urgent Care. Every patient who walks into Monroe Clinic Urgent Care-Freeport is given a thorough evaluation which may include x-rays and other tests. When walk-in patients have sustained more damage than can be easily remedied, they are referred or transferred by ambulance to the nearest emergency treatment center. Once there, they receive a more intensive level of triage to determine what must be done to address every injury. When a critically injured patient arrives at the ER, the first priority is to assess for life threatening conditions, says Dr. Jonathan Ortman, medical director of the emergency department at KSB Hospital in Dixon, Ill.
It’s important to understand a patient’s history, both medical and the nature of the accident itself. It’s also important to know what underlying medical conditions the patient may have, such as diabetes, heart disease and other pre-existing health concerns. 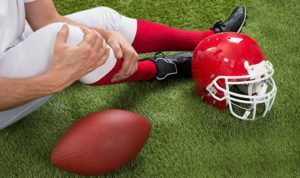 From an orthopedic standpoint, some of the most severe injuries involve open fractures, as well as injuries to blood vessels and nerves. Open fractures occur when the broken bone is exposed to the outside environment by either an associated laceration or the bone itself cuts through the skin. These are serious injuries often requiring urgent surgery and antibiotics. After determining the specific nature of the injury, the next step is to determine the necessary treatment. Minor injuries such as non-complex fractures, sprains and strains may require only splinting, ice, pain medication and referral to a primary physician for further care and follow up. More serious orthopedic injuries such as open fractures, severely broken bones, fractures involving joints and any compromising nerve or vascular function may require immediate orthopedic evaluation and perhaps surgery. In major medical centers, patients undergo a team approach to treatment that takes into consideration every single aspect of their injuries. After a trauma patient is treated in the ER and admitted to the hospital, a general surgeon typically heads the treatment team, says Dr. Gregory Dammann, orthopedic specialist at FHN’s Freeport hospital. Surgery may be immediate or it may be delayed, depending on the patient’s overall condition. For patients who can’t tolerate surgery right away, external methods are used to stabilize breaks with splints, pins and bars to hold the limb in place. Another priority is to get the patient up, either sitting up or walking. When the patient is more stable, the general surgeon may perform multiple surgeries every couple of days to repair extensive damage. These surgeries can involve grafting skin and muscle as well as repairing bone internally. Spinal injuries are treated differently, depending on where the damage occurred. Cervical (neck) injuries, middle back and lumbar (lower) back injuries require various kinds of attention, depending on the extent of the injury and whether or not it involves the spinal cord. Dammann emphasizes that treatment of critically injured patients is approached through a dedicated group effort. During the slow healing process, patients need help dealing not only with temporary incapacity but also with the pain that traumatic injuries can cause. After a preliminary assessment and stabilization in the emergency room, patients who’ve suffered multiple severe injuries are usually admitted for further evaluation and treatment. Dr. Andrew N. Vo, who specializes in Physical Medicine & Rehabilitation and Pain Medicine at Mercyhealth’s Brain and Spine Center, says patients with serious orthopedic injuries may require surgery. Finding the appropriate combinations of pain management drugs depends on much more than what injuries the patient may have suffered. Age and pre-existing health conditions can adversely impact the patient’s ability to recover and also may inhibit the use of pain medications. Broken or shattered bones, with open or closed wounds, may be surgically repaired immediately or surgery may be delayed until the patient is stabilized enough to tolerate the stress this places on the body. Vo emphasizes that every patient is unique; how well he or she tolerates pain or the medications used to manage it is unique. Bone, muscle, organ and nerve injuries and damage can run the gamut from minor to catastrophic, and the variations are countless. When patients are discharged, they’re usually prescribed a balanced, individually designed program of physical therapy and pain management medications that can include opioids and non-narcotic drugs. “The goal is to maintain optimum pain control while the patient continues to recover and rehab,” Vo says. Dammann, of FHN, says future field treatment of accident patients may involve the administration of antibiotics by paramedics before patients even arrive at the ER. It’s encouraging to know that, in the case of an unforeseen and catastrophic event, the region’s medical facilities, from immediate care to red-level trauma treatment, are standing ready to care for patients. With the advancement of technology, medications and highly trained professionals, end results are improving steadily. This entry was posted on Thursday, September 8th, 2016 at 12:00 pm	and is filed under Health & Fitness, Top Posts. You can follow any responses to this entry through the RSS 2.0 feed. Both comments and pings are currently closed.